It looks like Cardi B and Offset are heading into the weekend with some more legal woes on their hands. Rapper Cardi B and her husband, Migos rapper Offset, who are being sued by a man who says he suffered a “savage assault” when he sought an autograph, have now been hit by cross-claims by the hotel where the alleged assault is said to have occurred. 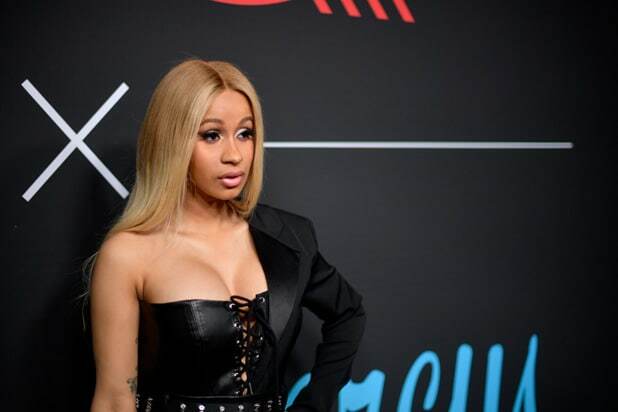 In the new paperwork, filed Friday in New York Superior Court, the Mark Hotel says that Cardi B and Offset are to blame for potential liability arising from the suit, and that they should pay for any judgment rendered against the hotel, which has also been named as a defendant. “In the event that Defendant Mark Hotel LLC (“Mark Hotel”) is held liable for all or any part of the damages alleged to have been sustained by Plaintiff, as set forth in the Complaint, or any cross-claims, which liability is expressly denied, such liability will have been brought about and caused solely as a result of the fault, negligence, acts or omissions, want of care and/or breach of contract on the part of Belcalis Almanzar p/k/a Cardi B, Kiari Kendrell Cephus p/k/a Offset and Quality Control Management LLC, without any fault, negligence or want of care on the part of Mark Hotel,” the paperwork reads. In his suit, filed in May, Giovanni Arnold alleges that the couple ordered a beatdown after verbally threatening him. According to the suit, a trio of men “savagely beat Plaintiff, punching him and then stomping on his face while he was on the ground” before fleeing the scene. Arnold says that he was “severely injured” as a result of the alleged attack, which he says took place at approximately 2:15 a.m. on May 8. “Plaintiff, who never once physically lashed out at Defendants, laid on the ground protecting his face and body while the Unknown Assailants piled on top of him and continuously hit him,” the suit reads. TheWrap has reached out to representatives for Cardi B and Offset for comment on the hotel’s cross-claims.